When I first began to make money online, all I wanted was to make money. I tried every program you can imagine but it wasn’t until I began working as a freelance writer that I didn’t realize you could make money online by writing for other people. It isn’t even hard to do! If you have some kind of writing talent and have a knack for creating content with just a few keywords, you can make good money online by writing. 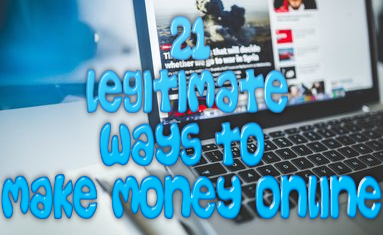 So, if you want to learn how to make money online by writing and get paid for your writing talent, make sure to read this post in its entirety! There are many ways to get started online as a writer. There are many different avenues you can take, but the first thing that you need to ask yourself is what do YOU want to do? Do you want to work for yourself? Do you mind taking on writing projects for clients? Do you want to write website content? Do you want to write eBooks? Do you want to help increase sales for other people? Asking yourself these questions can help you figure which route you will take and what additional training you should look for so you can become an expert in your field. A copywriter is a writer that utilizes a form of writing that helps to advertise promotional materials. Most of what you see on billboards, emails, catalogs and brochures are all written by copywriters. Copywriting is not all about increasing sales. The point of copywriting is to get the audience to engage with you, giving them something valuable in return for this engagement and allowing them the comfort to want to buy from you without spamming them with sales offers in the process. Best of all you don’t need any qualifications to become a copywriter. There are plenty of successful copywriters with no college degrees, but that have the drive to succeed. Even if you don’t know anything about copywriting you can learn. Do your research, read a lot of books on the subject and come up with a portfolio. Do that and you should become successful in no time. Another in demand writing field online today is a freelance content writer. Content writers help to create a variety of different types of content online such as website content, articles, press releases and even social media posts. Your goal as a freelance content writer is to help your client come up with new content for their website or business that is engaging and entices the reader to sign up for a marketing list or buy a product from them. Just as with copywriting, you don’t have to have any special degree or skills in order to become a freelance content writer. However, it is best if you have the experience to write content for clients as it will help you to stand above your competition. I recommend coming up with your own portfolio and doing your research on how to write engaging and high quality content before jumping into this potential career path. This is one form of writing online that many people are unaware of when they begin to look into working online. This is a great writing opportunity that requires no experience and doesn’t require you to write content that is geared to selling to others. As a transcriptionist your primary job will be transcribing audio into a written format that is easy to read. This is a job that is perfect for those that need a flexible work at home opportunity. You can set your own hours, don’t need many tools and can easily get started with no experience necessary. Another great way to make money online by writing, is by becoming a ghost writer. This is one method that I personally have utilized so I can tell you from experience how well it works. When you become an ghost writer, you have the option to write either for yourself or for clients. You will have to write a variety of different topics as a ghost writer ranging from non-fiction to fiction. You will be expected to write a book from end to finish from the table of contents to the conclusion. What many people don’t realize is that even as an ghost writer, you will be expected to edit the same written material so some editing may be required. How Much Does Online Writing Pay? The base of pay for each of these different writing jobs will vary based on a variety of different factors from skill level to how much writing experience you have. However, the base pay for each writing job is as follows. An average copywriter can make upwards of $57,000 per year while the most successful copywriter can make as much as $150,000 a year. However, most copywriters can expect to make $750 to $1220 per project which can be a nice chunk of change depending on how long it takes you to complete each project. Since there are many variables into content writing itself, this itself will determine how much a writer can make. Most content writers can make between $10 to $58 an hour or up to $20,650 to $106,100 per year. Some content writers can be paid as much as 1 cent per word or up to $.50 per word. Again, this depends on factors such as speed of writing, quality of writing and the company you are working for. While there are many professional transcriptionists that tell you, you can make $25 to $65 per audio hour, doesn’t necessarily mean that you will make that much per hour. Every audio hour can take as much as 2 to 3 hours to transcribe. However, most transcriptionists tend to make between $9.70 to $25.10 an hour or $20,000 to $51,000 a year. Most transcriptionist also tend to make between $.99 to $1.50 per audio minute transcribed. This type of writer that I want to talk about when it comes to how much money they make, are those who write for people as a ghostwriter, not to publish the book themselves. Most writers in this category can make just as much as a freelance content writer. That said most ghost writers can make as much as $10 to $35 an hour, and those who are lucky can make much more than that. There are a variety of places that you can find online writing jobs. First and foremost, I want to make it clear that you want to stay away from Craigslist when it comes to finding these types of jobs. Unfortunately, Craigslist has a horrible habit of having writing job listings which turn out to be nothing more than a scam once you ask for more information. UpWork is one of the most popular freelancing websites online today and there are plenty of writing job opportunities listed on the site. You will find a variety of writing jobs ranging from eBook writing, article writing, copywriting, press release writing, technical writing and website content writing. You can even find transcription jobs listed on the site. This is a website that has a free freelancing job board dedicated to available writing jobs. The site updates its job board between 3 to 4 times a week and include important information such as the name of the company that is hiring, adding any links to their website and other important information that you need when applying for a job. On top of that you will find helpful articles that will help you to become a better freelance writing. This particular website is owned by a published author by the name of Carol Tice, who has made 6 figures online with her published works. What makes this website unique is that there is always someone posting to the site, whether it is the owner herself or someone she employs. There is always someone available to answer any questions that you may have in regards to freelance writing. However, in order to have access to the job opportunities listed on the site, you need to pay a membership so keep that in mind. This is another job website that is a leader in the industry when it comes to finding plenty of writing jobs. With this website, you can create an online portfolio and upload samples of your work as well as a professional resume for potential employers to look at. You can search through hundreds of freelance writing jobs. However, this is a paid site so in order to look at the job listings you will need to pay a membership price. Indeed is a popular job site where you can find plenty of writing job opportunities. This site is similar to any job posting site similar to Craigslist so make sure that you have a resume ready to go. You need to keep in mind that writing jobs are limited so be sure to check the job site as often as possible for new opportunities. 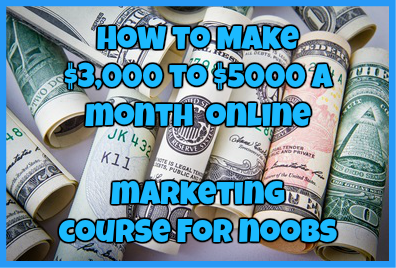 Hopefully by the end of this post you have learned how to make money online by writing. As a writer, there are plenty of opportunities to make some money online by writing, you just have to know where to look. ← Master Writing Jobs Scam Review: Can You Make $45 an Hour Writing with NO Experience? !